Managing this fund since Feb 2011. Total experience 18 years . Raviprakash joined SBIFM in 2011. He has over 16 years of experience in Indian capital markets, spanning across Equity & Fixed Income. Raviprakash had joined us from HDFC Asset Management where he was part of the portfolio management team for almost four years. Prior to that, he was a financial advisor at Citigroup Wealth Advisors, India. Raviprakash has also worked with Kotak Securities, a leading securities brokerage house in India, where he was a part of the Equity Dealing platform. He started his career in 1999 with Birla Sun Life Securities. Raviprakash is a Commerce graduate from Mumbai University and a Chartered Accountant from ICAI. He is also a Charter holder of the CFA Institute, USA. An open-ended Scheme tracking Nifty 50 Index. The scheme will invest in stocks comprising the Nifty 50 index in the same proportion as their weightage in the index with the objective of achieving returns equivalent to the Total Returns Index of Nifty 50 index by minimizing the performance difference between the benchmark index and the scheme. The Total Returns Index is an index that reflects the returns on the index from index gain/loss plus dividend payments by the constituent stocks. The scheme will adopt a passive investmentstrategy. 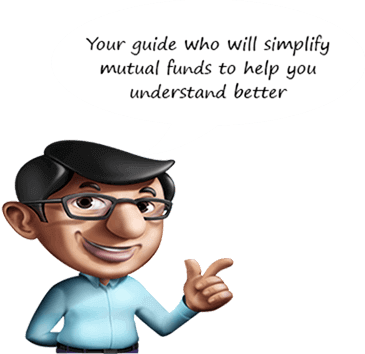 The scheme will invest in stockscomprising the CNX Nifty index in the sameproportion as in the index with the objectiveof achieving returns equivalent to the TotalReturns Index of CNX Nifty index byminimizing the performance differencebetween the benchmark index and thescheme. The Total Returns Index is an indexthat reflects the returns on the index fromindex gain/loss plus dividend payments bythe constituent stocks.